Science does not simply begin with questions — science is an ongoing process that begins, persists and ends with questions. 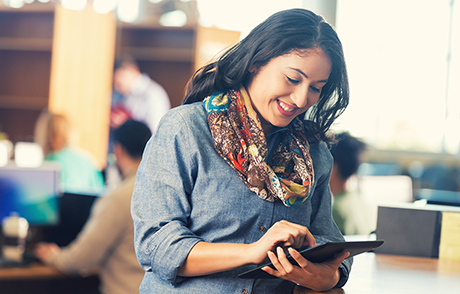 Learn how the Question Formulation Technique can help students develop the inquiry skills they need to succeed in college and career from guest blogger Andrew P. Minigan, the Education Project and Research Coordinator at the Right Question Institute. Scientific curiosity and asking questions helps to drive research and scientific inquiry. Scientists generate, develop and use their questions to navigate new information. Questions serve a purpose from the onset of an investigation when a scientist must identify or define a problem and hypothesize. Thinking in questions helps investigators assess data and information they collect as they dive deeper into their research, and questions are essential towards the end of an investigation when a scientist must make conclusions based on gathered evidence. The inquiry ends as a scientist documents his or her findings, yet with this conclusion are many more lines for future research and experimentation. As Immanuel Kant said, “…every answer given on principles of experience begets a fresh question, which likewise requires its answer.” Science does not simply begin with questions — science is an ongoing process that begins, persists and ends with questions. 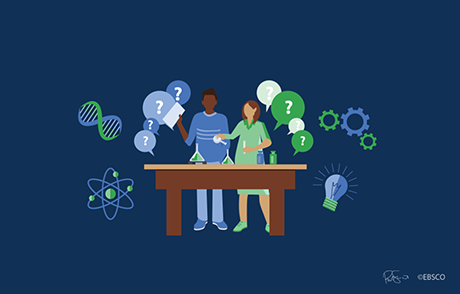 New K-12 Standards, including the Next Generation Science Standards (NGSS), reflect the importance of developing students’ inquiry skills to better prepare students to succeed in their careers and in college. The Science and Engineering Practices suggests that students develop their scientific knowledge through engaging in practices of scientists and engineers, and this includes “asking questions (for science)...” As mentioned in The National Research Council’s Ready, Set, Science!, students “can learn how to ask fruitful and researchable questions, how to challenge a claim, and where to go to learn more.” Beyond high school, institutes of higher education work to prepare STEM students to enter some of the fastest growing areas of the workforce. Many of these fields necessitate the critical thinking skills and problem-solving skills that question-asking promotes. Journalist Warren Berger makes the argument that the 21st century workplace values question-asking. Yet, historically, the skill of question formulation has not always been deliberately taught to students. This has resulted in some students feeling as though they did not develop their question-asking skills during school. In a two-year study of undergraduate students’ information-seeking practices, Alison, Head of Project Information Literacy, found that only 27% of students believed that college had helped develop their question formulation skills. The discrepancy between wanting to teach students how to inquire and students feeling as though they have not cultivated this skill is due, in part, to the lack of resources and strategies that address this fundamental skill. Although the NGSS and other standards and frameworks (e.g. C3, CCSS, and Danielson’s Framework) highlight the importance of students learning to ask and use their own questions, they do not provide the pedagogical practices or instructional strategies to address this shift. 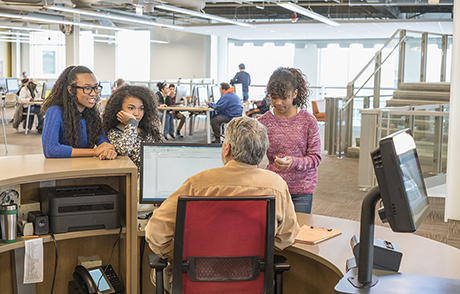 With this shift in education and as the nature of research evolves, librarians continue to play an important role in sharing innovational strategies for research, experimentation, problem-solving and information literacy with colleagues and students. One such strategy developed by The Right Question Institute that can help hone the fundamental skill of question-asking is the Question Formulation Technique (QFT). In the book Make Just One Change: Teach Students How to Ask Their Own Questions, Dan Rothstein and Luz Santana share an easy to use strategy that has now been used by more than 200,000 educators around the world. The QFT is a step-by-step process that creates a space and a structure for students to generate their own questions. Students do rigorous work and thinking around their questions as they improve and prioritize questions, reflect on the process, and use their questions as the educator guides students into next steps. Educators can integrate the QFT in many different ways to support their teaching and learning goals. For example the QFT can help to stimulate student engagement, formatively assess students and check for understanding, and support summative assessment as students use questions for researching, experimenting and writing. The QFT is used across all grade levels, and is a useful strategy for teaching all students how to ask questions as they become more self-directed and engaged learners. Andrea Serino, a Multi-Age teacher at the Franklin Early Childhood Center in Melrose, Massachusetts, used the QFT with her students as a part of a classroom experiment. Instead of coming up with the question she wanted students to explore, Andrea decided to use the QFT so that students would come up with their own question to investigate. After reading gingerbread stories, Andrea used a gingerbread person as a Question Focus (QFocus) — the focus for her Pre-K students to ask questions about. After the class generated questions, the group selected one priority question from their list to test: What happens if a gingerbread cookie is put into water? Students made predictions and then tested their prediction through experimentation. Students soon discovered that the gingerbread person sank in the water. Just as Kant philosophized, answers reveal new questions to explore, and students soon wondered what would happen if they added soap to the water to make it bubbly. After another round of experimentation, students found the answer to their question and recorded that the cookie would float for 10 seconds before sinking, becoming soggy, and eventually falling apart. Through her use of the QFT, Andrea created space for her students to ask questions, hypothesize and make predictions, test their predictions through experimentations, and even formulate and explore new questions derived from what they observed. Dr. Rachel Woodruff, Assistant Professor of Biology at Brandeis University, teaches a Molecular Biotechnology course for undergraduates. To better equip students for a research project at the end of the semester, Professor Woodruff used a QFT to help build students’ research skills through generating and developing their own research questions. After reading a molecular biology research or review article which served as a QFocus, students generated and submitted questions as a part of their homework. Once class reconvened, students formed groups where they categorized questions as open-ended (cannot be answered with a yes, no, or one word) or closed-ended (can be answered with a yes, no, or one-word) and improved their questions. She then had students reflect on what constitutes a good biological research question. Thinking about the advantages and disadvantages of different questions and the information they might elicit provided a lens for developing a substantive and worthwhile research question. Just as chair of the Department of Biological Sciences at Columbia University Stuart Firestein states in his book Ignorance: How it Drives Science, “...scientists don’t concentrate on what they know, which is considerable but also minuscule, but rather on what they don’t know.” The QFT helped her students do rigorous work and thinking with their questions for their research proposal and better prepared them for their term paper. Whether it is used to develop research, critical thinking and inquiry skills with a maker activity like school librarian Connie Williams, or towards the end of a unit to stimulate student engagement, like in this video of high school physics teacher David Meshoulam and his class, the QFT can be used flexibly to help promote scientific curiosity, build important STEM skills and nurture deeper learning. Although the belief that students should develop problem-solving skills is by no means new, new standards have further emphasized the importance of teaching students how to formulate questions. 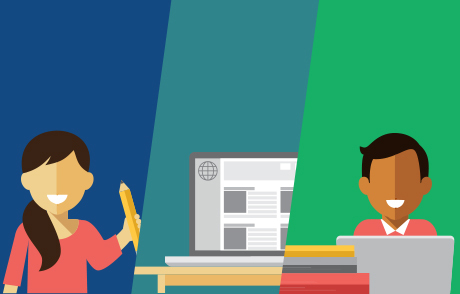 The QFT can be a resource educators can share and use to spark newfound student excitement and curiosity around learning — a change that can help bring a little more joy to educators who work in a very demanding profession. Want to give it a try? The following lesson plan asks students to view images from Science Reference Center and apply the Question Formulation Technique (QFT). Andrew P. Minigan is the Right Question Institute’s Education Project and Research Coordinator. His work has been featured in The Library of Congress, Education Week, Educational Leadership, and Memory. You can find him on Twitter @AndrewRQI.